Students in Mr. Brooks' language arts class are excited to begin using Socratic Circles. For the next several weeks, students will closely read a variety of texts and have critical conversations about what they have read. They will also delve into the art of poetry, and will even write a little of it as well! As usual, vocabulary, grammar, and fluency will continue to be staples of our class. We just finished reading Jeremy Fink and the Meaning of Life. We all loved the ending. It was so touching. We have begun our poetry unit and will be learning how to annotate to understand. Reminder - all students are required to take a NewsELA quiz every week and post it to Google Classroom. Other homework will change weekly. Please check out my website for each week's assignments. Math classes have been working hard on expressions, equations and inequalities. Students should be comfortable translating and creating expressions and inequalities as well as solving equations. Our next unit will be Geometry! Mrs. Lowery's 6th and 7th period classes will be competing in a March Madness Challenge. Students will use their math skills to help predict winning teams in this year's NCAA Basketball Tournament. Sixth grade science students continue their study of plants and plant processes such as germination and photosynthesis. Do you know what part of the plant you are consuming when you eat broccoli, asparagus or lima beans for dinner? Ask a sixth grade scientist! In Mrs. Smith's Social Studies classes students are finishing up their unit on Ancient China. Students have enjoyed learning about the different dynasties and were amazed by the thousands of terra cotta warriors that were discovered in the tomb of the emperor. To finish up this unit students will use clay and their creativity to make and design their own terra cotta soldiers. Next we will study the ancient civilization of Mesoamerica. 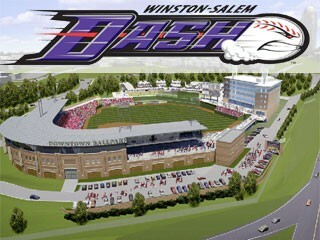 On April 29th, those students that do not receive a referral or F in the 3rd Quarter will be traveling to watch the Winston Salem Dash play at BB&T Field. More details to come as the quarter draws to an end.